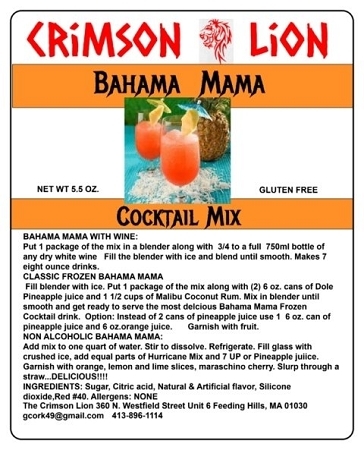 The Bahama Mama is a Classic drink. We love this newly released flavor mix and hope you will as well. For a classic Bahama Mama secure your blender. Fill blender with ice. Add 2 6 oz. cans of Dole Pineapple Juice or equivalent. Add 1 1/2 cups of Malibu Coconut Rum. Mix in blender until smooth and serve. Option: Instead of 2 cans of Pineapple Juice, substitute with 1 6 oz. can of Orange Juice and 1 6 oz. can of Pineapple Juice.. ENJOY! !